Title challengers Manchester City travel to St. James’ Park to salvage three valuable points against 17th placed Newcastle United. It is the first time since their defeat to Chelsea on the 8th of December that City play their match before Liverpool. A win would see City just 1 point off the Merseysiders, thereby putting the onus on the league leaders to defeat Leicester City. They have been cruising past opposition in 2019, with 8 wins on the bounce and would be looking to keep their excellent record going against strugglers Newcastle United. The home side has had a torrid time against City, with just one win in the last 24 matches against them. Rafael Benitez’ men looked solid against the reigning champions at the Etihad Stadium in their narrow 2-1 loss with DeAndre Yedlin cancelling out Raheem Sterling’s opener, leaving Kyle Walker to score a 35-yard thunderbolt to secure all three points. with Newcastle just two points off Cardiff City who sit 18th in the relegation zone. Cardiff shipping in 5 goals in only a single fixture. Pep Guardiola’s men have scored 31 times in 2019, conceding only once from Roberto Firmino in their crucial 2-1 victory against Liverpool. Things have been looking up defensively as well, with Ederson and co. keeping 6 clean sheets in a row. It will be hard to envisage a Newcastle goal, with Salomon Rondon as the only proven outlet of goals within the side as their top scorer with 5 goals in 17 Premier League appearances. Newcastle had a disappointing visit to Vicarage Road over the weekend as a 0-2 away loss meant that they were knocked out of the FA Cup, courtesy of goals from Andre Gray and Isaac Success. 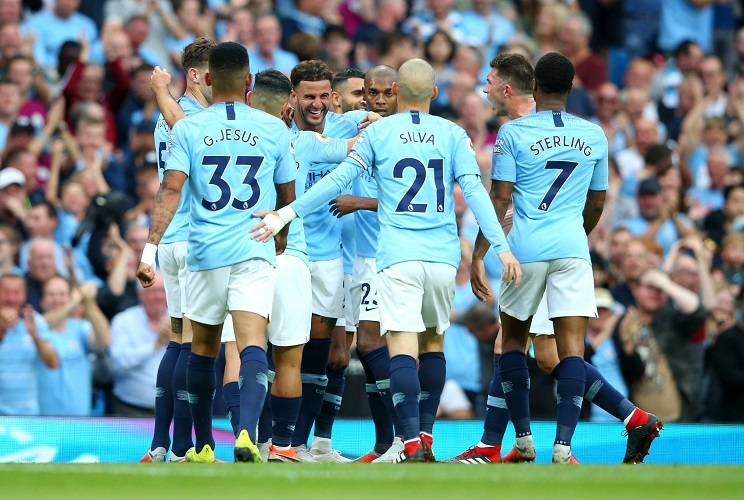 Meanwhile, the Blues ran riot in their 5-0 thrashing of Burnley for the second time this season at the Etihad Stadium, with Gabriel Jesus, Bernardo Silva and Sergio Aguero on the scoresheet along with Kevin de Bruyne, who was the Man Of The Match. Things are looking bleak for Newcastle United who would be looking to eke out a draw at best, as they have only managed to muster a win once in their last seven outings. The Mancunians, on the other hand have won all of their last seven matches. City couldn’t ask for a better time to play Newcastle United who will be short on confidence and at the end of the day, might just be short on goals. Newcastle United – Mohamed Diame, Jonjo Shelvey, Ki Sung-yeung and Paul Dummett will not be in contention to play the midweek fixture. Joselu is also set to miss the game with a twisted ankle. in for a thrashing, given that they have been first in xG (expected goals) rankings for conceding goals in the Premier League. A ruthless City side, who have already scored 62 goals in 23 games this season in the league (averaging 2.69 goals scored per Premier League game) will offer a sizeable task to Benitez’s side. Manchester City – Benjamin Mendy had some valuable game time against Burton Albion but is set to miss out against the Toon, along with club captain Vincent Kompany who will spend a brief amount of time on the sidelines with a muscular problem. Claudio Bravo, a long time absentee, although back in training is set to miss out this Wednesday due to an Achilles tendon injury. This could be the first time this season where fans could see Kevin De Bruyne, David Silva and Sergio Aguero start together. The Belgian was in full flow against Burnley in the FA Cup, scoring an absolute belter while assisting 2 of City’s goals. He admitted to have found “an extra gear” against the Clarets and will be chomping at the bits to face a leaky Newcastle backline. Sergio Aguero is another one who will be licking his lips at the prospect of facing the Black and Whites, who have been the Argentine’s favourite team to score against in the Premier League. With 14 goals in 12 games, even for someone as impressive as the City record goalscorer, his record is incredibly prolific against the Magpies. Danilo would be filling in for Benjamin Mendy at left-back and his impressive showings, both defensively and offensively have been a breath of fresh air for the Sky Blues. Newcastle United – Dubravka, Yedlin, Schar, Lascelles, Clark, Ritchie, Hayden, Longstaff, Atsu, Perez, Rondon. Manchester City – Ederson, Walker, Stones, Laporte, Danilo, Fernandinho, David Silva, De Bruyne, Sterling, Sane, Aguero. 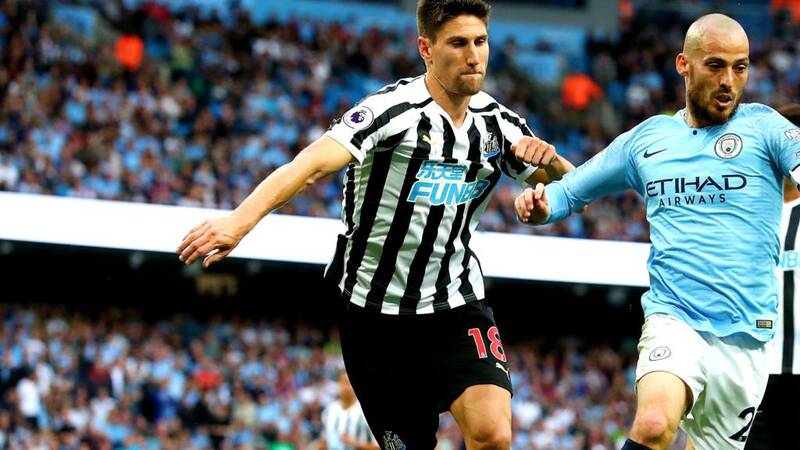 This game could only go one way; even with Newcastle holding onto their lives in this one, the Manchester City attack would prove to be too much for them. A 0-2 away victory seems to be very likely in the books. Will 2019 finally be the silverware year for England?